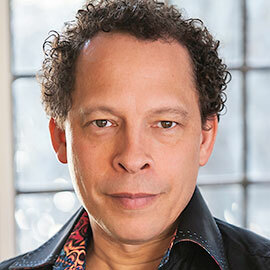 Canadian author Lawrence Hill returns to Laurier’s Waterloo campus on Wednesday, Oct. 7 to promote the release of his new book, The Illegal. Hill will participate in a student-facilitated question-and-answer session and book signing from 2 p.m. to 3:45 p.m. in the Paul Martin Centre. Although the event is free and open to the Laurier community, space is limited and seating is available on a first-come, first-serve basis. The Illegal is the story of Keita Ali, a young marathon runner who flees a repressive regime in his native Zantoroland and finds shelter in Africtown, a community of undocumented refugees living underground in the wealthy nation of Freedom State. Keita can only be safe if he keeps moving and eludes the officials who would deport him to his own country, where he would face almost certain death. Hill was Laurier’s first-ever writer-in-residence, writing portions of The Book of Negroes and The Illegal during his visits to the university. Hill will also be speaking at the Centre for International Governance Innovation in Waterloo on Oct. 7 from 7 p.m. to 9 p.m. Although the event is sold out, his lecture, “The Illegal: A Meditation on Refugee Issues,” will be available via live stream. The Illegal was released on Sept. 8 by HarperCollins Canada and is available for purchase at the Laurier Bookstore and the Stedman Community Bookstore.